Though there are a good number of war memorials within the United States, some are more visited than others. 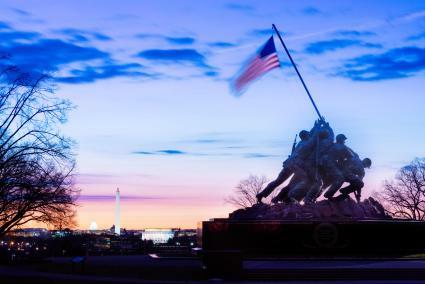 Dedicated by President Dwight Eisenhower on November 10, 1954, the United States Marine Corps War Memorial (USMC) is a military memorial statue located near the Arlington National Cemetery. This statue memorializes all personnel of the U.S. Marine Corps who have died defending the United States since 1775. This statue is also known as the Iwo Jima Memorial. 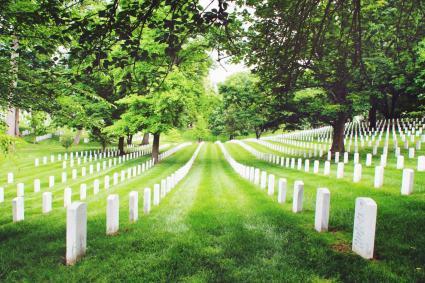 Arlington National Cemetery in Arlington, Virginia, is a memorial cemetery for those Americans who died in wars and for service members who were honorably discharged. 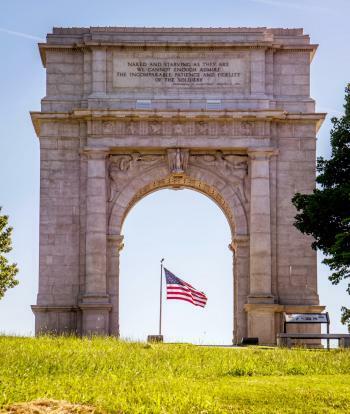 The National Memorial Arch located in Valley Forge (Pennsylvania) National Historical Park was erected in honor of the officers and private soldiers of the Continental Army. The Tomb of the Unknowns (also well known as The Tomb of the Unknown Soldier) is in Arlington, Virginia, and symbolizes the Americans who died in all U.S. wars with no identifiable remains to bury. 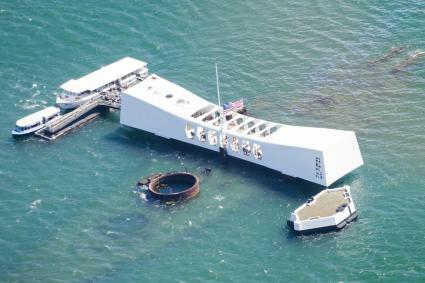 The USS Arizona Memorial is in honor of the Americans who died in the attack on Pearl Harbor. This memorial is in Honolulu, Hawaii. The Vietnam Veterans Memorial Wall located in Washington, D.C., opened in 1982. 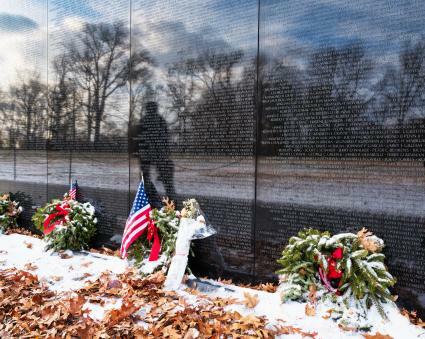 This wall remembers those U.S. service members who died during the Vietnam War. 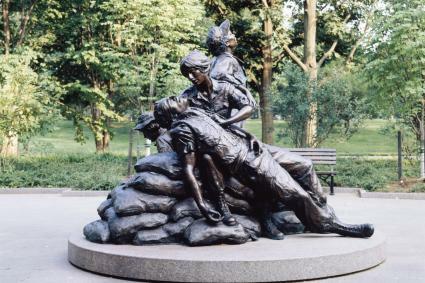 The Vietnam Women's Memorial is in memory of women, mainly nurses, who actively served in the Vietnam War. 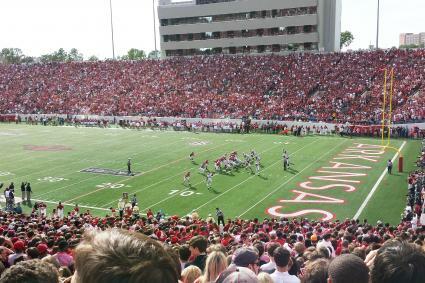 War Memorial Stadium is a memorial in Arkansas to celebrate our nation's victories in World War I and World War II, as well as the remembrance of the 4,634 Arkansans who died during those wars. 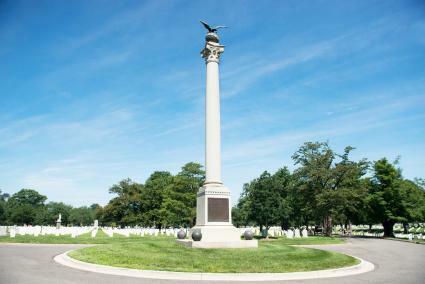 Spanish-American War Monument is in Arlington, Virginia, at the National Cemetery. This 50-foot tall column of Barre Granite is a reminder to all of those who died in the Spanish-American War. 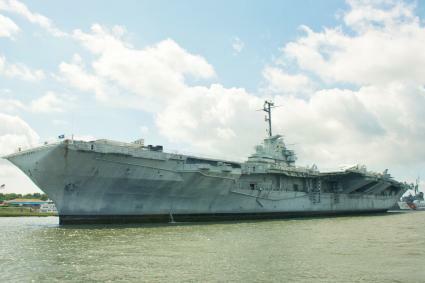 The Patriots Point War Dog Memorial is located on the aircraft carrier USS Yorktown at the Patriots Point Naval and Maritime Museum in Charleston, South Carolina. This memorial commemorates the contributions of trained military dogs used in wars. 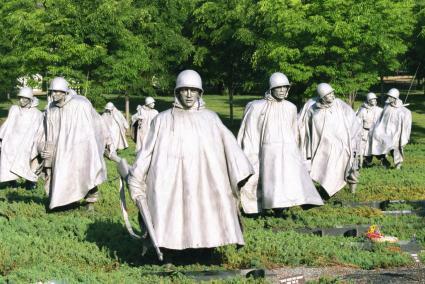 The Korean War Veterans Memorial opened in 1995 in Washington, D.C., and commemorates those who served in the Korean War. 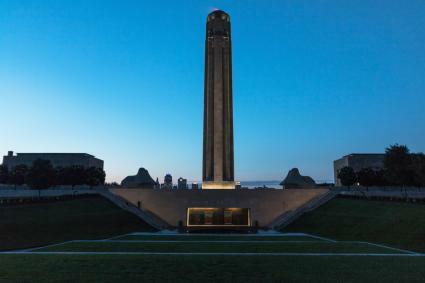 The Liberty Memorial is in Kansas City, Missouri, and is America's National World War I memorial and museum. 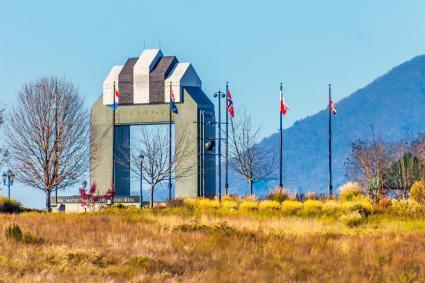 The National D-Day Memorial is located in Bedford, Virginia, and is in remembrance of those who served and died in the Battle of Normandy. 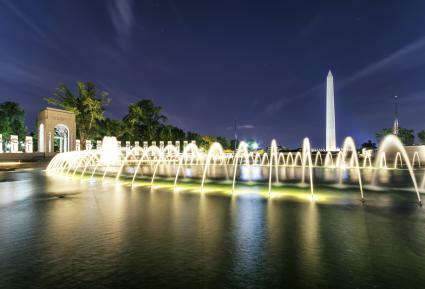 The National World War II Memorial is in honor of those who served the United States in World War II. This memorial is located in Washington, D.C., between the Lincoln Memorial and the Washington Monument. 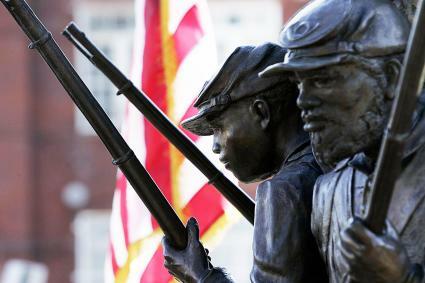 The African American Civil War Memorial Freedom Foundation and Museum, located in Washington, D.C., was erected to commemorate all African American troops who served in the Civil War. War memorials are scattered throughout the United States. Here are some memorials of note that are not quite as well-known as others. The Go For Broke National Education Center in Los Angeles, CA is a memorial for Japanese-American service members of World War II. The USS Maine Mast Memorial is located within Arlington National Cemetery and features the actual mast of the USS Maine, which was sunk in Cuba in 1898. 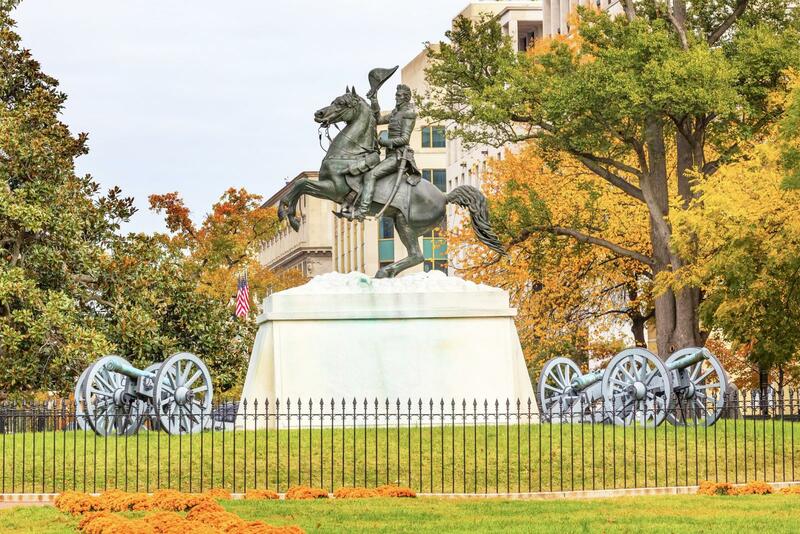 The Lafayette Square Monument is located in Washington, D.C. and honors heroes of the American Revolution. The Brooklyn War Memorial honors the men and women from Brooklyn who served in World War II. The United States Air Force Memorial in Arlington, VA and was designed to honor all the men and women who served in the Air Force in both wartime and peace. United States war memorials are places where everyone can go to mourn, reflect and pay tribute. These memorials also serve the purpose of teaching others about the past and giving an insight into historical events that have shaped this country's history. 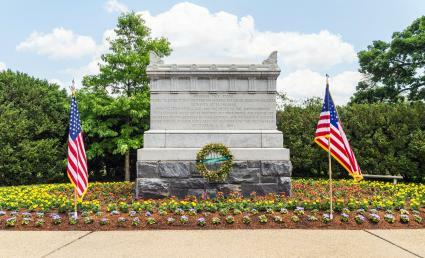 In addition to these famous memorials, there are numerous others throughout the United States. Most cities have memorials erected to war heroes who were from their specific region and fought in a particular war. If you look around your city or town, you might find a memorial with a war story behind it.